My boyfriend Gareth was 36 on Valentine’s Day, and I wanted to do something personal without spending too much money. 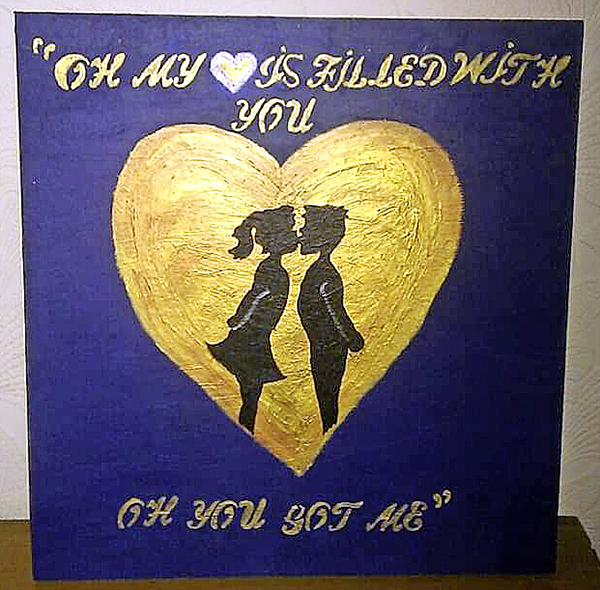 I bought some acrylic paints and painted an old piece of wood with a romantic picture and some lyrics from ‘our song’. He loved it!